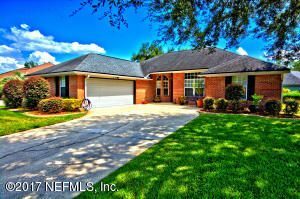 This weekend we have two open houses – in Fleming Island & in Oakleaf. Please come by and tour these beautiful homes this weekend. We have wonderful agents available to assist you and answer any questions you may have. 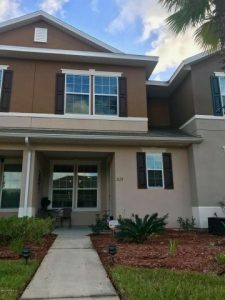 No CDD fee’s Located in the desirable Oak Creek neighborhood on Fleming Island. This home is a MUST SEE!! And has been beautifully maintained and is great for entertaining. Hard wood floors, and ceramic tile with carpet in bedrooms. Home has open floor plan with extended patio,with beautiful pavers, patio includes a fire pit and is located on a large corner lot. MOVE-IN ready former vacation property in excellent condition. Occupied a couple weeks out of the year. Close to schools, shopping, restaurants, and entertainment. Kitchen features matching stainless steel appliances, plenty of storage, and large large island with breakfast bar. Relax after a long day in your enclosed patio or take a soak in the large garden tub. Access to pools, clubhouse, tennis courts, and more. All information deemed reliable but not guaranteed. Buyer to verify.